Justice Walter Onnoghen, the Chief Justice of Nigeria (CJN), is in the dock. Not in the dock yet, but you know what I mean. He is to be charged before the Code of Conduct Tribunal (CCT) by the Code of Conduct Bureau (CCB) on Monday over allegations of false declaration of assets. It is actually a six-count charge, but it all boils down to asset declaration affairs. Although we hardly take things of this nature seriously in Nigeria, they constitute a serious breach by public officers. I won’t be surprised if most Nigerian public officers are in violation. If all public officers were to be scrutinised over their compliance with the law, only a few would come out alive. If Onnoghen is found guilty, he would immediately have to vacate office as the Chief Justice. He could be banned from holding public office for a maximum of 10 years. He would also forfeit all the assets that he did not declare, as alleged by the CCB. According to reports, Onnoghen has already been asked to resign ahead of his trial, although I can bet my laptop on it: he would ignore such order or advice. Whatever the CCB has on him must be treated as allegations for the time being, and allegations do not amount to a conviction in law. Onnoghen will hold on to the very end. He would certainly want to prove his innocence. He won’t go down just like that. What I have just said are the simplest things about the Onnoghen case. Things are more complicated than I have made them look. I am expecting nothing but legal fireworks as the trial commences. There will be ethnic and religious insinuations and there will be political interpretations as well. I would like to focus on the legal aspect in today’s discussion, although I do not by any means suggest that there are no political undertones. I am old enough to know that a gun doesn’t kill except you pull the trigger (copyright: James Bond). I also went to school, and that means I should be able to read between the lines and not swallow everything I am served — head, thorax and abdomen. Here we go. A civil society group, the Anti-Corruption and Research Based Data Initiative (ARDI), submitted a petition dated January 7, 2019 to the CCB, alleging a number of infractions committed by Onnoghen. The petition was received by the CCB on January 9, 2019. The charge sheet filed by CCB before CCT was dated January 10, 2019. Pardon my ignorance: this efficiency is out of this world. This is the kind of public sector efficiency that we have been praying for in Nigeria. We are almost getting there. But, on a serious note, the speed amazes me. Perhaps investigations had already been concluded before the petition was submitted to the CCB. If not, for the CCB to conclude investigations within 24 hours, Canadian bureaucrats — reputed as the world’s most efficient — would be jealous. 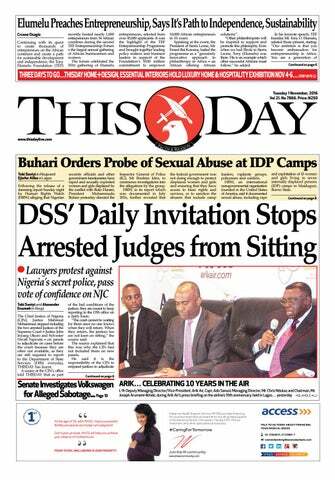 Onnoghen’s spokesman, Mr. Awassam Bassey, initially said the CJN was unaware of the petition, much less the content. But it has now emerged that the CJN even wrote a statement in response to the allegations. In the past, if an accused public officer admitted that there was an error in his or her asset declaration, no further action was to be taken. The irony, though, is that the Supreme Court, headed by Onnoghen, ruled that this no longer applied when Senate President Bukola Saraki pleaded it in his case. The law has been amended. Where are we? 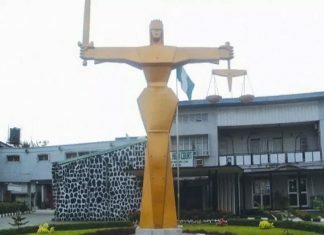 According to Section 24(2) of the Code of Conduct Bureau and Tribunal Act, “Prosecutions for all offences referred to in this Act shall be instituted in the name of the Federal Republic of Nigeria by the Attorney-General of the Federation or such officers in the Federal Ministry of Justice as the Attorney-General of the Federation may authorise so to do.” Is the Office of the Attorney-General involved in this case? We cannot say for sure, but I would assume that there may be other laws that allow the CCB to prosecute without the AGF donating its prosecutorial power to the bureau. Whatever the case may be, government is one. That may not be an issue. And now to the crux of the matter: can the CCT try a judicial officer? Something is telling me there is a due process issue at play here. There is a famous case appearing to show that the CCB may need to retrace its steps. In May 2018, the CCT struck out a 10-count charge by the federal government against Justice Sylvester Ngwuta of the Supreme Court who was accused of concealing his assets. He was one of the judges whose residences were raided by the secret police in 2016. Ngwuta’s lawyers argued that CCT lacked the jurisdiction to try him, based on sections 318, 158(1) and paragraph 21 (B) of the 3rd Schedule of the 1999 Constitution. In simple words, allegations against judicial officers are supposed to be referred to the National Judicial Council (NJC), the body constitutionally empowered to discipline them. What the NJC is supposed to do is to examine the allegations and suspend the affected judicial officer. Thereafter, the case will be referred to the CCB for prosecution by the CCT. They call it “due process” or “procedure”. The CCT accepted that it lacked the jurisdiction to hear and determine the case against Ngwuta and then struck out the case. In fact, the Court of Appeal had made a similar pronouncement in the case against Justice Hyeladzira Nganjiwa in December 2017. Because nothing has changed since then (the sun still rises in the east), could the CCB have hurt its own case so early in the day? I know little about law but I can assure the CCB that the first argument Onnoghen’s lawyers will make is that the CCT lacks the jurisdiction to try him. I know the counter-argument, though: Onnoghen is the NJC chairman and cannot be a judge in his own case. But I have a counter: that is why the word “recuse” was invented so that judges can excuse themselves from some cases. I know the “counter counterargument”: the NJC will find it hard to indict its own chairman. Too bad, but neither are we allowed to take the law into our hands in a democracy. Am I saying the CJN is above the law and if found guilty of breaching the Code of Conduct he should be left off the hook? No. I would never make such an argument even if I was born yesterday. Nobody is above the law in a democracy. We do not have two sets of laws — one for the high and mighty and the other for the wretched of the earth. Anybody who has broken the law should face the music. The only problem is that once processes and procedures have been so well defined in law and tested in court, there is nothing else we can do than to respect them. We just have to find a way of following these processes to achieve our purpose. Not surprisingly, there has been a deluge of outrage over the Onnoghen case. Some have imputed sinister motives. There are insinuations that Onnoghen was not wanted as the CJN in the first place because he is from a certain part of the country. He was appointed as the acting CJN by President Muhammadu Buhari in November 2016 but his name was not forwarded to the senate for confirmation until March 2017 when Buhari was away on medical vacation. Onnoghen is the first CJN from the south since 1987 when the late Justice Ayo Irikefe retired. Given the poisonous pre-election atmosphere in the land, I really wish we could do without this controversy. There are insinuations about the role the Supreme Court may play in the 2019 elections. In fact, the petitioners pointed to the elections as one of the reasons Onnoghen should be put on trial. That is why the timing of the petition and the swiftness of CCB’s treatment of it cannot be treated as routine bureaucratic efficiency. But even if we are to ignore all the allegations and insinuations, we cannot ignore the processes and procedures for the discipline of judicial officers as prescribed by our laws. No matter the weight of evidence the federal government has against Onnoghen, it must pursue justice in a way that those who want to fault it will have little or nothing to say. Alhaji Kashim Shettima, governor of Borno state, broke down in tears before President Muhammadu Buhari in Aso Rock on Monday. What would make a grown-up man weep? Too much destruction by Boko Haram. Too many dead bodies. He has been governor of the state for nearly eight years, and nearly every year has been flooded with sorrow, tears and blood, as Fela would put it. I call Shettima the unluckiest governor in the history of Nigeria. He told Buhari that Borno people expected him to crush Boko Haram. Shettima is clearly disappointed because of the reversal of fortune, but we must keep faith with the troops as they redouble effort to contain the resurgence. Troubling. 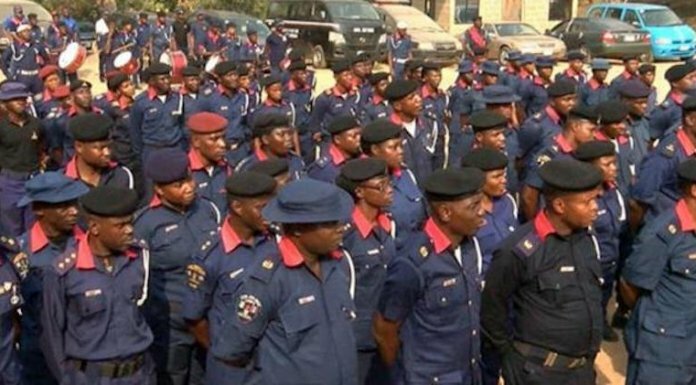 One of the most intriguing events unfolding in the country ahead of the general election is the fate of Mr. Ibrahim Idris, the inspector-general of police. Having served as a policeman for 35 years, he was due for retirement on January 3, 2019. He will clock 60 on January 15. The standard practice is whichever comes first — 35 years of service or 60 years of age. However, there is yet no sign that he is ready to go. If anything, it appears President Buhari would like to extend his tenure. Idris, whom the president accused of dereliction of duty in the Benue crisis, would certainly love to preside over the policing of the elections. Expect legal challenges, though, if his tenure is extended. Tricky. One thing I cherish in life is consistency. If you condemn an action by the goose you must also condemn a similar one by the gander. I saw people condemn President Jonathan for things they are now praising President Buhari for. I have also seen people condemn Buhari over the same thing for which they defended Jonathan. What this suggests is that many critics are motivated more by sentiments than facts or the national interest. I find it very difficult to respect the opinion of such people. Speaker Yakubu Dogara said as much last week when he pointed out that the northern elders who condemned insecurity under previous government have now gone quiet. Hypocrisy? In DR Congo, the more you look, the less you see. I was still celebrating that an opposition candidate had won the presidential election when word started filtering out that the ruling party might have rigged against its own anointed candidate, Emmanuel Shadary! It now appears Felix Tshisekedi of the Union for Democracy and Social Progress (UDSP) did not win the election. The Catholic Church said the result did not match data collected by its 40,000 election monitors. No wonder, Tshisekedi was busy praising President Joseph Kabila, the incumbent, after “winning” the poll. Kabila himself accepted the result without shedding a tear. Fishy.